For several years I felt I was majoring in wiping bottoms or tying shoes. The girls would get so excited when they actually went in the potty that they brought it to me wherever I was to show me. They weren’t the least bit bashful about greeting neighbors with their bare bottoms and latest achievements. Toddler years are the most trying and the most precious. They have so much energy. When I get to heaven, I’m going to ask God why He gave small children so much energy and parents not enough. I’m also going to ask Him why boys love to wrestle all the time. My boys came into this world wrestling. As toddlers they turned our home into a training camp! Their energy knew no bounds. At ten and twelve, they still love to wrestle, and now they have a regular round robin with their seven-year-old sisters after dinner each night. It’s a phenomenon I’ve noticed in most boys that I still fail to understand. During the toddler years we experience three unique challenges: the challenge of teaching obedience, the challenge of harnessing energy, and the challenge of maintaining control. The battle of the wills is in full force during the ages of two and three. It is the season of the child’s attempt to determine who is in control. Training the toddler to obey is an exhausting, often unrewarding challenge. My husband asked, “Honey, what did you do today?” I replied, “I disciplined toddlers all day.” At times we feel we deserve the title “meanest mom in town”! While teaching obedience is not fun, it is necessary during this season. As the small children learn to obey their parents they are not only being prepared for living in the world, but they are also being taught the principles that will help them learn to obey their Heavenly Father. Hand-in-hand with this challenge of obedience is the challenge of harnessing the incredible energy that these toddlers have. Children don’t learn to walk, they learn to run. They are like bowling balls loose on paths of destruction. The season of toddlers is not a good time to decide to redecorate your house! Once when the twins were two-and-a-half, they went through the house and unscrewed and removed all the lamp switches. We never found them and had to take every lamp to the shop. During cold winter months it takes real creativity to know what to do with that energy. I often would pack the kids into the car and head to the closest mall to ride the “moving steps” (escalators) for half an hour. It was a small break in the long day and helped to unleash some of the energy. Although we certainly struggle to maintain obedience, energy, and control, we also have the special opportunity to enjoy the uniqueness of this season. Whereas small infants represent a season of wonder, toddlers represent a season of discovery. 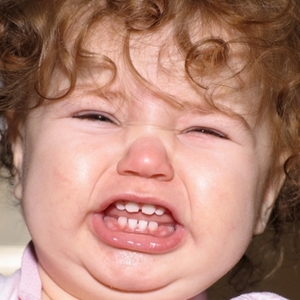 A toddler’s curiosity is never satisfied, and it can get her into all sorts of trouble. Once I found Libby on top of the kitchen table eating sugar from the sugar dish. When that ran out she simply continued with the salt thinking it was the same. Her gagging, spitting, and screaming brought the rest of the family hurrying to the scene of the crime where we had a hard time trying to comfort her instead of laughing at her! It is during this season of discovery that we moms are reminded to be observers ourselves. We will enjoy this season much more as we observe what our children do and what they say. They will say and do the funniest things; and once they’ve left this season these humorous things will never be repeated. As we observe, it’s fun to write down some of the cute things children say. I would not have remembered these moments if I had not quickly written them down. These quotes will become special to us as our children grow up. Also, as the children grow they love to hear us tell them the things they used to say or do when they were younger. It’s a treat to record these “sayings and doings” in a child’s book or mother’s journal and pull it out to share on each child’s birthday. Taking pictures of ridiculous happenings also helps us to be observers and therefore enjoy this season. Photograph the crazy things, the dress-up parties, the meal fights, not just the Sunday specials. These pictures will become treasures and bring to mind forgotten incidents. We may not be cartoonists, but we could do research for Ketcham as we learn to observe. The season goes by too fast and it’s too easy to look back and wish we’d taken more time to enjoy it. When you’re in the midst of diapers and crying babies you think it’ll never end; but when they go to school, you’ll wonder in amazement at how fast the time went. Excerpted from And Then I Had Kids by Susan Alexander Yates. Used by permission of Baker Books, a division of Baker Publishing Group, copyright © 2002. All rights to this material are reserved. Materials are not to be distributed to other web locations for retrieval, published in other media, or mirrored at other sites without written permission from Baker Publishing Group.” Visit Baker Books. Parenting is not the easiest task especially if you cannot figure out the most effective way to handle your child’s tantrums and emotional outbursts. Of course, kids can be difficult to understand but often we can only blame ourselves for the problems. But like the author of this text wrote toddler years are the most trying and the most precious.